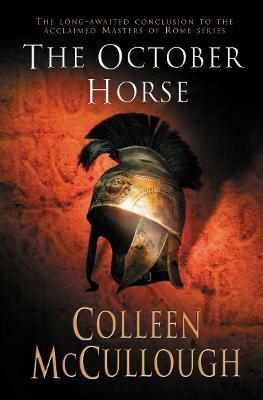 "This is a marvellous, sweeping story with all the familiar characters - Cleopatra, Mark Antony, Brutus et al - which brings the periods vividly alive, and retells a vital period in world history in a splendidly accessible way"
Colleen McCullough was born in Australia. A neurophysiologist, she established the department of neurophysiology at the Royal North Shore Hospital in Sydney, then worked as a researcher and teacher at Yale Medical School for ten years. Her writing career began with the publication of Tim, followed by The Thorn Birds, a record-breaking international bestseller. The author of over ten other novels, including the acclaimed 'Masters of Rome' series, Dr McCullough also wrote lyrics for musical theatre. Until her death in 2015 she lived on Norfolk Island in the Pacific with her husband.